Dental fillings are the most common type of dental restoration for decayed or chipped teeth. Smile Clinic is a mercury-free dental practice and we offer dental fillings services to replace silver fillings with tooth-colored restorations with several options, such as composites, porcelain inlays and tooth-colored onlays. We create fillings that are unnoticeable and strengthens weakened teeth. Many people still have silver or mercury fillings in their mouths from previous years. 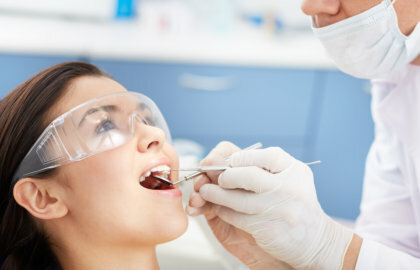 If they are in good condition and there is no decay beneath the filling, the FDA does not recommend removal or replacement of amalgam fillings. Removing of good amalgam fillings may result in unnecessary loss of healthy tooth structure, and exposes you to additional mercury vapor released during the removal process. These fillings are not particularly pleasing to the eye, and we know that by unavoidable design, silver/mercury fillings ultimately result in a weaker tooth structure. Our practice restores cavitated teeth with composite/resins. These restorations are esthetically pleasing and very strong thanks to new bonding technologies.